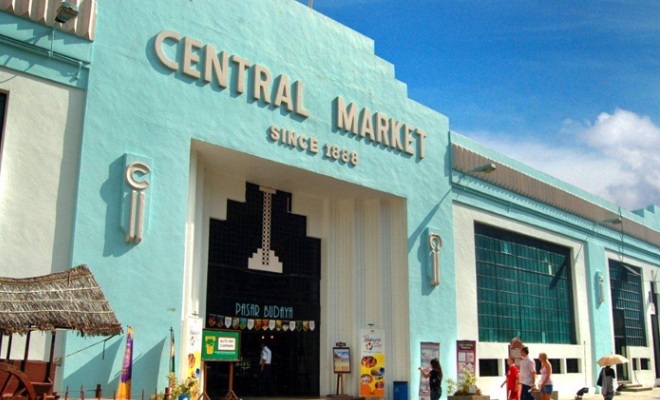 Central market – a shopper’s paradise, a place to indulge in culture and taste of the nation – right here in the city of Kuala Lumpur. That’s right, if you are in Kuala Lumpur, the central market is a must go destination. So, get on the Kelana Jaya line to get to the Pasar Seni Station. The central market has a long history dating back to the late 1800s. Back in those days, during the rule of the British, the market functioned as the wet market for the people; mostly tin miners at that time. Ideas for the building to be torn down were put to halt by the heritage board of Malaysia. Most Malaysians would certainly highly recommend the market as a must see tourist destination while in Kuala Lumpur. One very interesting attraction is the Art Lane. It is the place that houses many beautiful and exciting pieces of art. It is a great place to view the many art studios that call the Central Market their home. If you stroll down the streets of the market, you can’t help but notice that there is a part of the market that has been set aside to show the many different cultures of the country. There are three lanes situated in the market that showcase the culture and ethnicity of the three main races of the nations. This allows you to access the different attractions and features of the races of the nation. One attraction in the market is the Malacca Street. Here, you can view many Baba Nyonya buildings and experience their culture-which is a very unique one since two races – the Malay and the Chinese has converged to become one. The place is a great one-stop location to fully savor the taste of the local cuisine. What’s more is that the prices of the food here are affordable and very reasonable. It is advisable to eat light as you may want to try out more of everything that the market has to offer you. If you are in the city, one of the many locations to stop by to buy handicrafts, kebayas or souvenirs for affordable prices is the Central Market. It’s a one stop shopping destination in KL. There are also additions to the number of retail stores that line the streets of the Central market. Among them include more modern food outlets that you can more commonly find in the modern shopping complexes. In a nutshell, you certainly will be spoiled for choice at the market!